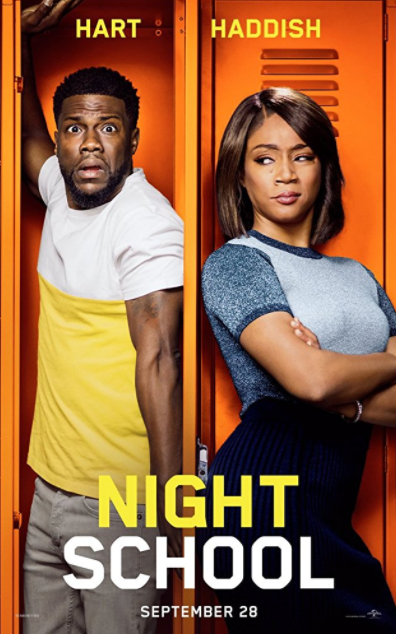 Cast: Kevin Hart, Tiffany Haddish, Yvonne Orji, Mary Lynn Rajskub, Taran Killam, Rob Riggle, Megalyn Echikunwoke, Romany Malco, Bresha Webb, Al Madrigal and Ben Schwartz. Story: The film follows a group of misfits who are forced to attend adult classes in the long-shot chance they’ll pass the GED exam. Source: Blackfilm. This entry was posted in Upcoming Films and tagged Kevin Hart, Tiffany Haddish by blackcinemaconnection. Bookmark the permalink.